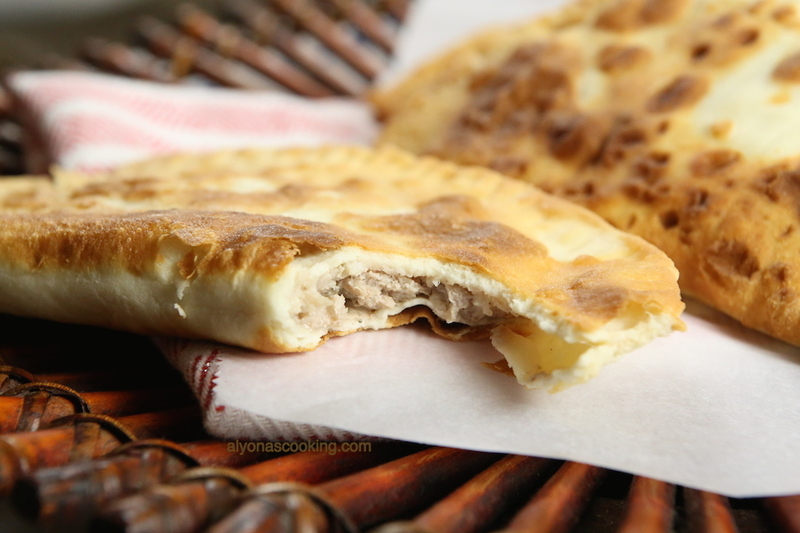 Chebureki, well known for there half moon shapes and juicy meat fillings are popular meat turnovers through out the Eastern European culture. 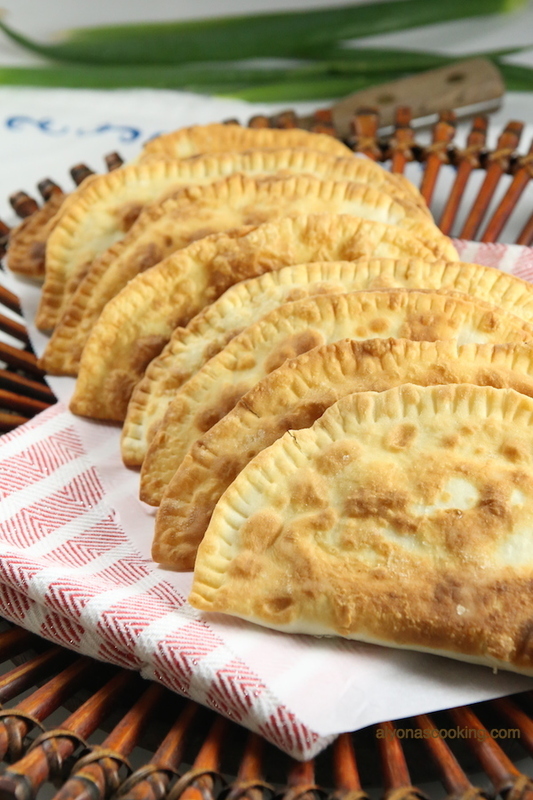 There’s something about these fried folded meaty turnovers that no wonder they made a great street food (known for being sold in some flea markets too.) Making your own dough isn’t as time consuming as you may think. With a mixer and a rolling pin you can have these fried in no time. 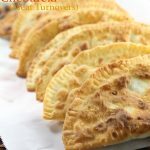 Now you can totally make chebureki using uncooked tortillas (which can be found at some Coscto’s) or even regular flour tortilla’s (yes, I’ve tried some before just use an egg yolk to seal the edges) but nothing compares to made-from-scratch chebureki, that aren’t that hard to make after all. 1. Stir together the ricotta cheese, egg, salt and baking powder in the bowl of a stand mixer. 2. 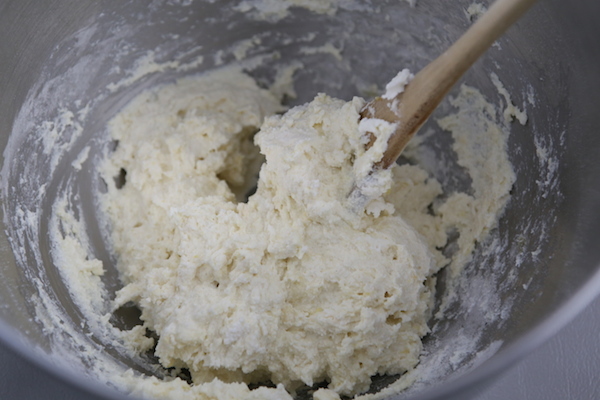 Gradually add in the flour with the mixer running over low speed, until the dough comes together. Then knead over med-high speed for 7 minutes adding in more flour if needed. 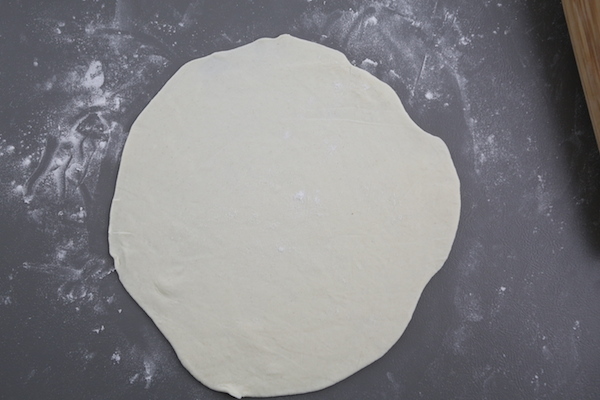 (Dough should not stick to the sides of the bowl.) Refrigerate until needed. 3. Combine the filling ingredients and set aside. 4. 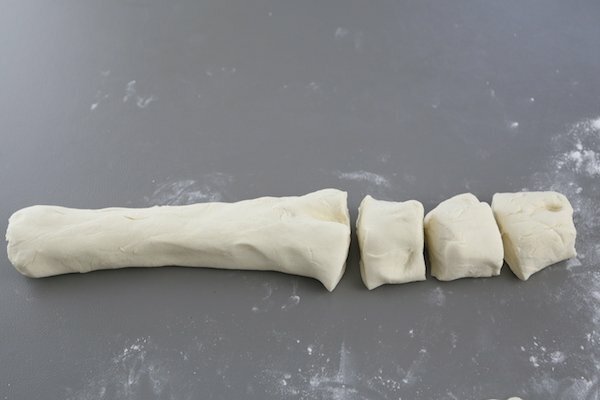 On a lightly floured surface, form dough into a 14″ log and slice into 9 pieces about 1 1/2 inches wide. 5. 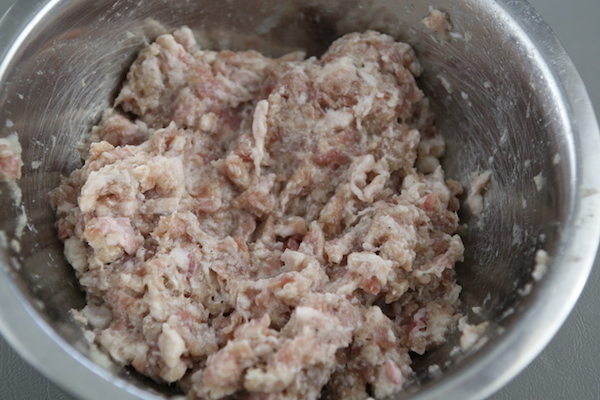 Roll out each piece into a 9-inch circle and fill one half with 2 tbsp of the meat filling. 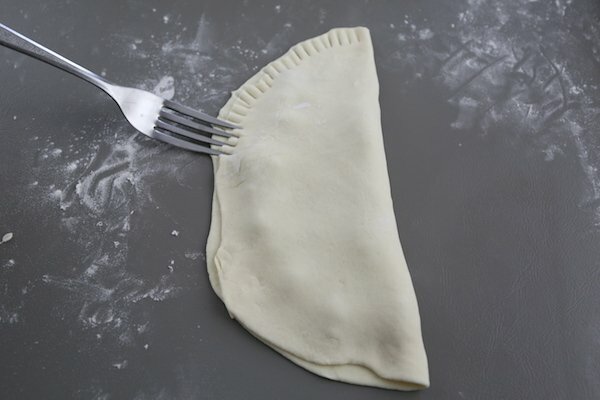 Fold in half and seal edges with a fork, dusting flour as you go to prevent any sticking. 6. 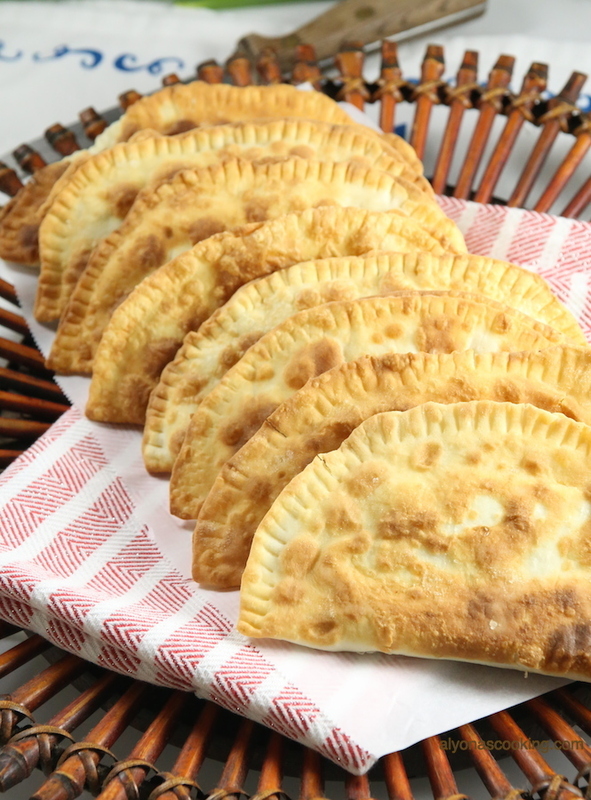 Place chebureki onto a dusted tray and continue to work with the remaining dough. 7. Meanwhile preheat 1/2 cup of oil in a large skillet over med-low heat. 8. 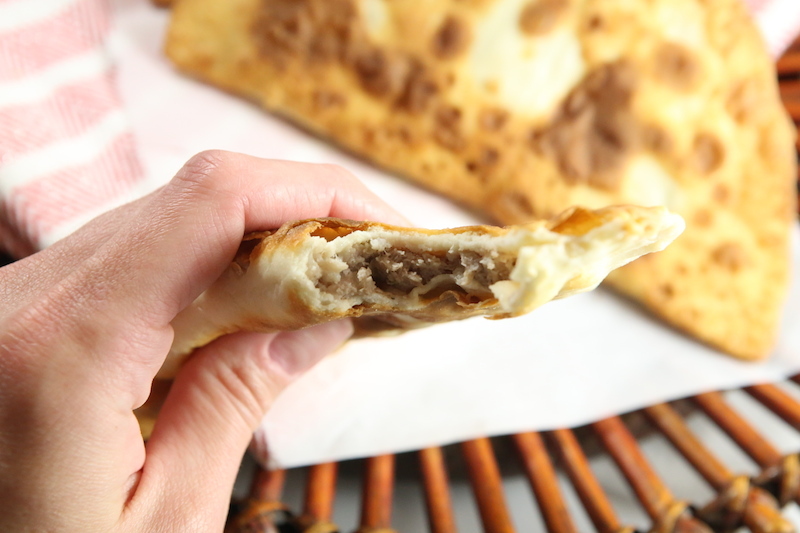 Fry chebureki for 3-4 minutes on each side or until golden and drain on paper towels to remove excess oil. 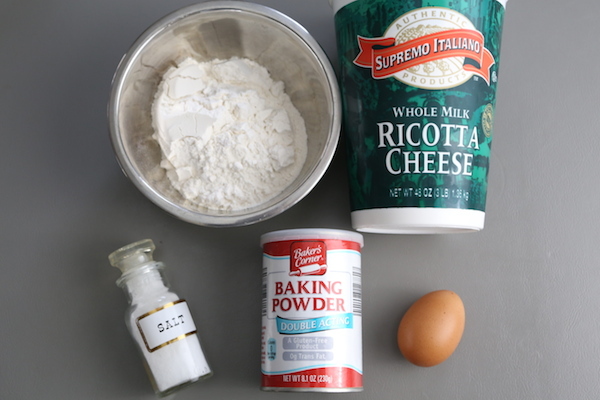 Stir together the ricotta cheese, egg, salt and baking powder in the bowl of a stand mixer. Gradually add in the flour with the mixer running over low speed, until the dough comes together. Then knead over med-high speed for 7 minutes adding in more flour if needed. 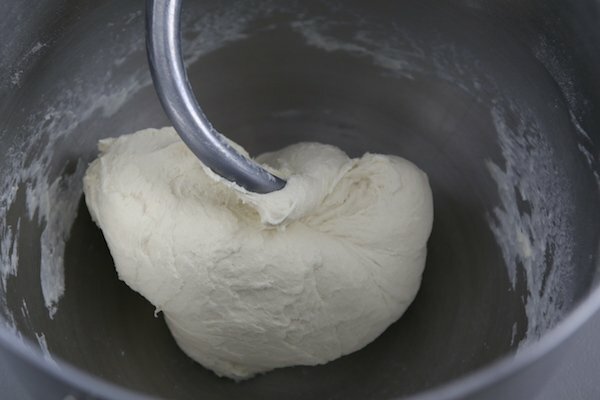 (Dough should not stick to the sides of the bowl.) Refrigerate until needed. Combine the filling ingredients and set aside. On a lightly floured surface, form dough into a 14" log and slice into 9 pieces about 1 1/2 inches wide. 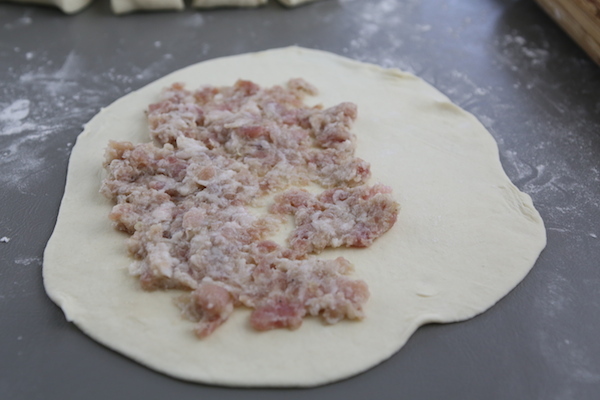 Roll out each piece into a 9-inch circle and fill one half with 2 tbsp of the meat filling. 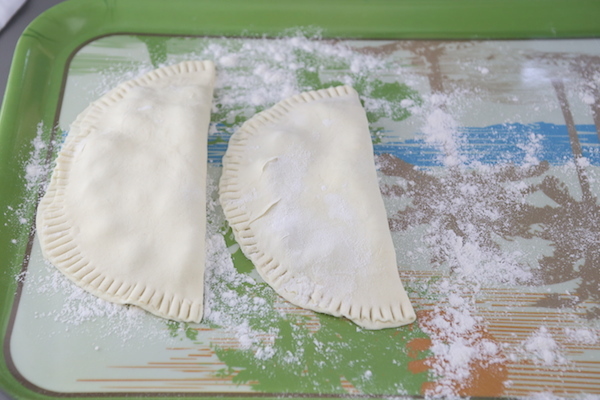 Fold in half and seal edges with a fork, dusting flour as you go to prevent any sticking. 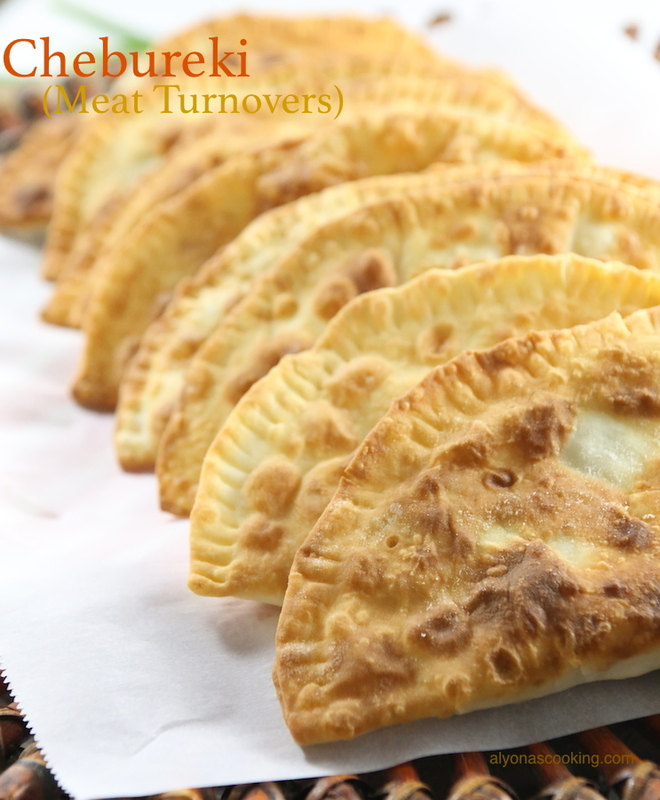 Place chebureki onto a dusted tray and continue to work with the remaining dough. Meanwhile preheat 1/2 cup of oil in a large skillet over med-low heat. 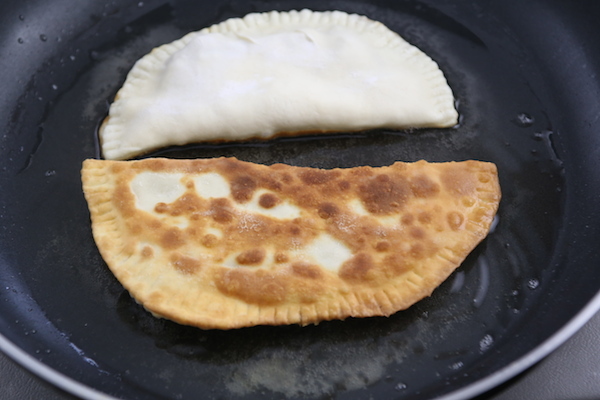 Fry chebureki for 3-4 minutes on each side or until golden and drain on paper towels to remove excess oil. Altona, These look very delicious, tender and supper yummy! We don’t have Costco, so I am going to be using your dough recipe. Thank you for sharing your recipes, ideas and talents with us. Your pictures are mouthwatering! Thank you again!!! !